Whether you’re a pet parent, a person with allergies, or are just ready to upgrade your cleaning tools, you’ll want to check out this sale on several Dyson models including the Dyson V8 Animal Cord Free Vacuum. The list price for this popular cordless vacuum cleaner is $499, but it’s currently on sale for $387.98. That’s a savings of $111.02 off the regular price! Since Dyson discounts don’t last long, be sure to visit this page for the most current deals. 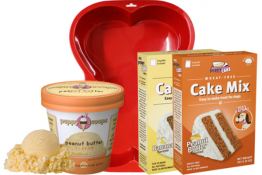 Most also include free shipping. 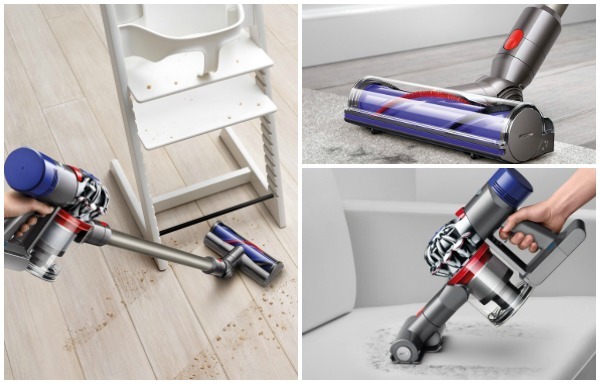 The Dyson V8 animal offers cord-free cleaning for up to 40 minutes. 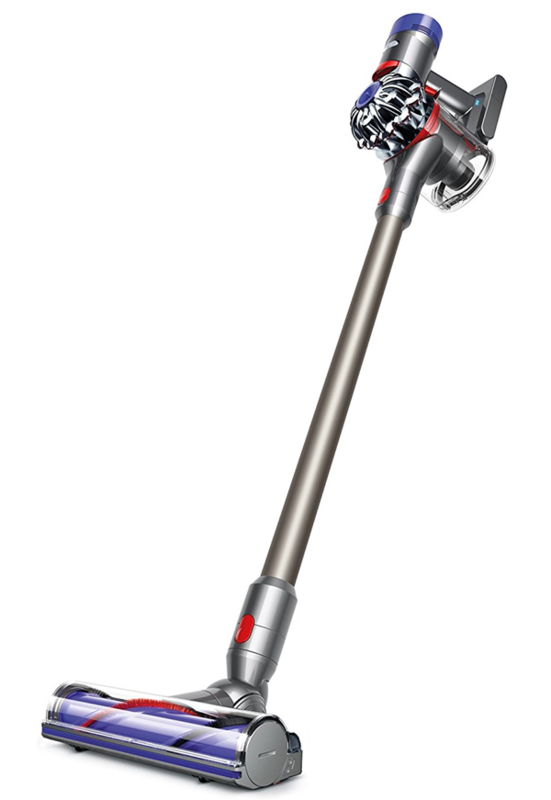 Powered by the Dyson V8 motor, this machine has the most powerful suction of any cordless vacuum. Whole machine HEPA filtration captures allergens and expels cleaner air than the air you breathe. Max power mode provides up to 7 minutes of higher suction for more difficult tasks. Like all Dyson cord-free vacuums, this one converts to a handheld for quick clean UPS, spot cleaning, and cleaning difficult places. Emptying the bin is a breeze with the push of a single button. The convenient docking station stores and charges your machine and accessories when not in use so it’s always ready to go. The direct-drive cleaner head drives bristles deep into the carpet to remove ground-in dirt. Mini motorized tool for tough tasks. Stiff nylon bristles remove pet hair and ground-in dirt from furniture, car seats and tight spaces. Mini soft dusting brush for gentle dusting around the home. Balanced for cleaning up top, down below and in between! 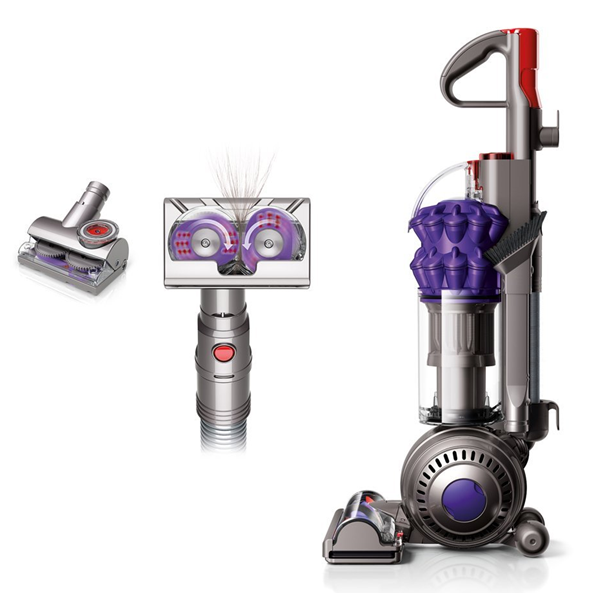 Learn more about Dyson vacuums and compare models here. 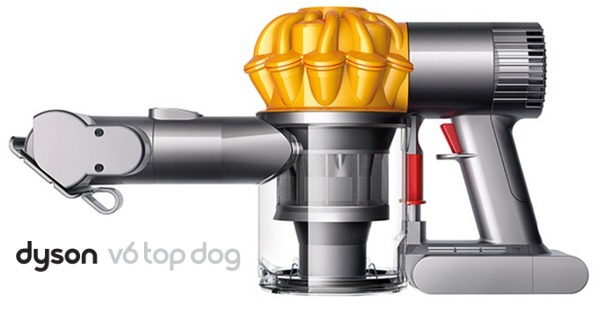 Go HERE to read our review of the Dyson V6 Top Dog Vacuum. Dyson Deal Alert! 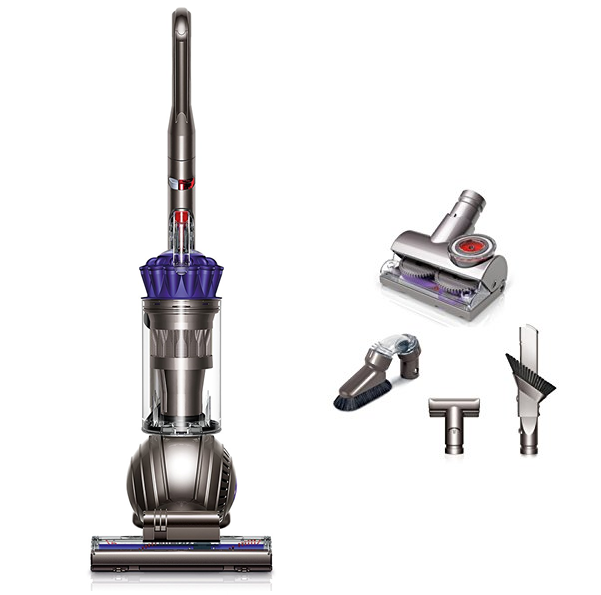 Just spotted the Dyson V6 Top Dog Vacuum on sale for $179 ($50 OFF) with FREE Shipping included. As with all deals, this one can change quickly, so head on over HERE to snag it while you can. Pet parents (and people with allergies) need all the help we can get when it comes to cleaning, and we LOVE our Dyson Top Dog handheld vacuum for daily jobs of all sorts & sizes. 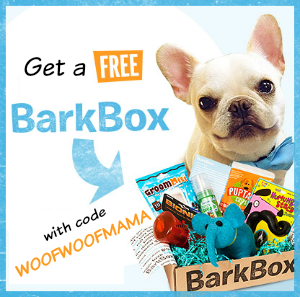 It’s super handy at sucking up crumbs, dirt and especially dog hair. I also love using it to clean corners that the regular vacuum cleaner doesn’t quite reach. It’s cord-free with an easy empty bin and max power mode. 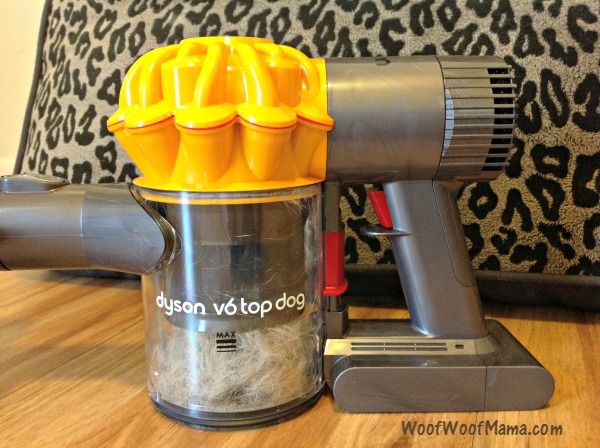 You can read our full Dyson Top Dog Vaccuum Review HERE for lots more details and photos. 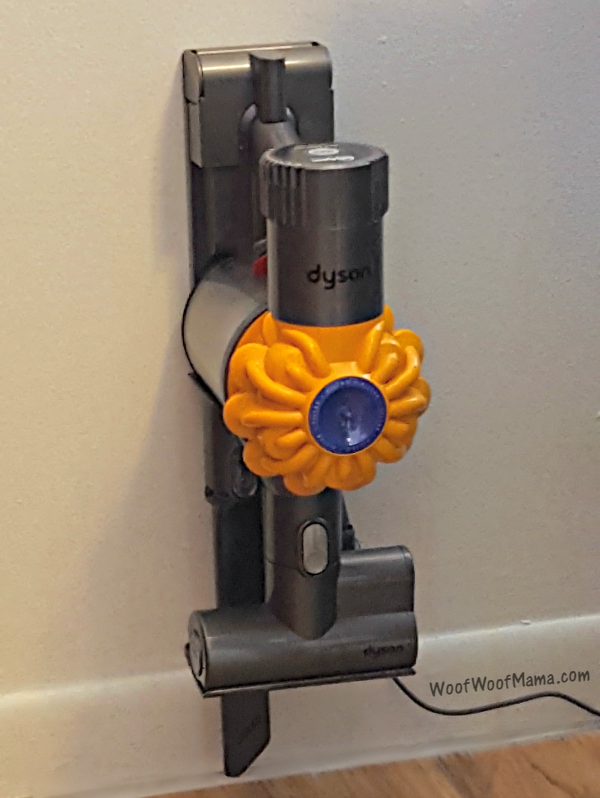 Bonus Tip: If you are getting the Dyson V6, be sure to also grab this inexpensive Dyson Wall Mount Bracket and Docking Station. It’s super easy to install on any wall near a plug and keeps your Dyson and attachment tools handy and ready to use at all times! 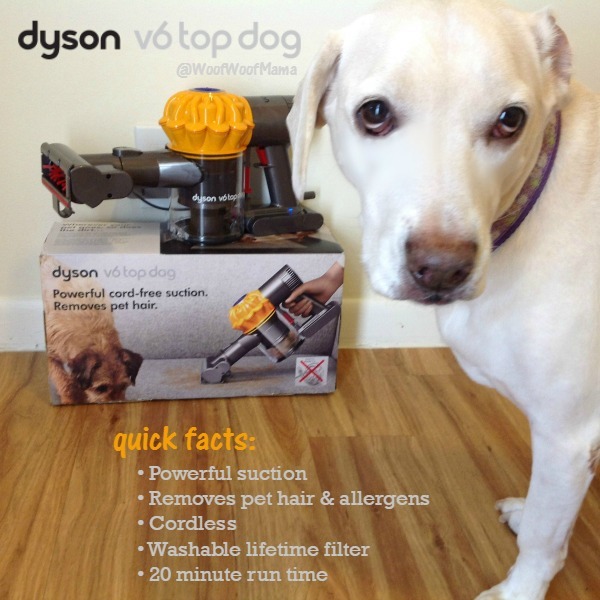 Thanks to the folks over at Dyson, we got our paws on their brand new Dyson V6 Top Dog handheld vacuum cleaner. It’s just launched for sale, but they sent it to us early so that we could test it out and share our experiences with you! 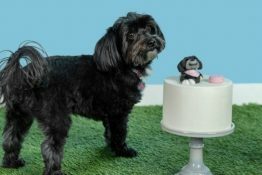 Pet parents know that the cleaning battle against pet hair is real, and not to be taken lightly. Keeping the fuzz factor under control takes constant vigilance and the best tools you can find. 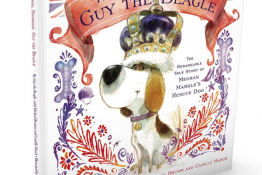 Even for a short-haired dog, Daisy sure does shed a lot, and every time I turn around there is a new pile of fur on some piece of furniture, throw pillow, rug or floor. Although we vacuum a few times a week, and I run our Roomba almost daily (especially helpful for under the beds, night stands and dresser, I’m constantly finding NEW Daisy hair wherever I go. I could make a Daisy clone with the amount of fur she sheds in an average week! Having a cordless handheld pet vacuum has really been a game changer. No more having to pull out the upright vac and attachments for small jobs…I just grab my Dyson handheld, pull the trigger, and zap the spot. 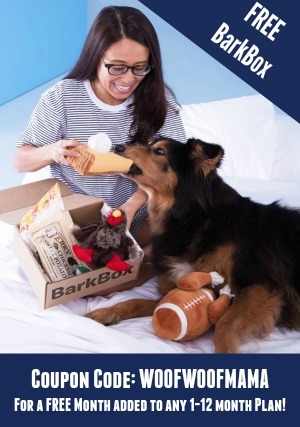 Being cordless makes it super fast and hassle-free to clean up a corner, her dog bed, and our patio furniture. And being so easy means I’m much more likely to clean up little messes before they turn into big ones! I’m impressed with how much time I’m saving on routine chores like vacuuming Daisy’s dog bed. Doing it weekly, it now only takes about 2-3 minutes to really remove all the fur she’s shed since the last time I did it. The speed is due to how powerful the suction is as well as the design of the mini motorized tool. The bin holds more than other hand vacs I’ve tried, which is also a time saver because there’s no stopping to empty it or clear the filter. Here’s a shot with a full bin from doing her dog bed today. For clean hands and convenience, the vacuum is designed with a quick release button to empty the bin while holding it over the trash. I also really like that the filter is washable and meant to last a lifetime. That saves on waste and extra costs since I’ll never need to buy replacement filters. I think many people would agree that a Dyson is the dream machine of vacuums and it’s especially dreamy that they make one specifically designed for homes with pets. As pet parents we all need help keeping our floors, furniture and homes free from shedding fur and dirty paws, but many regular vacuums just aren’t up to the task and get clogged or don’t do a good job! The only problem with Dyson vacuums is that they can be pricey. That’s why I was super excited to spot this amazing deal on the Dyson DC50 Animal Compact Upright Vacuum Cleaner for $150 OFF plus FREE Shipping. This is a brand new unit, not a refurbished model (refurbs are great and can be a cost-effective way to snag a deal on a Dyson). It comes with a 5 year warranty on parts and labor. As with all great deals, this one is subject to change quickly and sell-out without warning, so if it’s always been your dream to get a Dyson then don’t wait. Head on over here to read customer reviews, compare models and snag one today!